Owner Occupant purchasers utilizing FHA insured financing (including the FHA 203(k) Rehabilitation Program) could own this home for as little as $100 down. 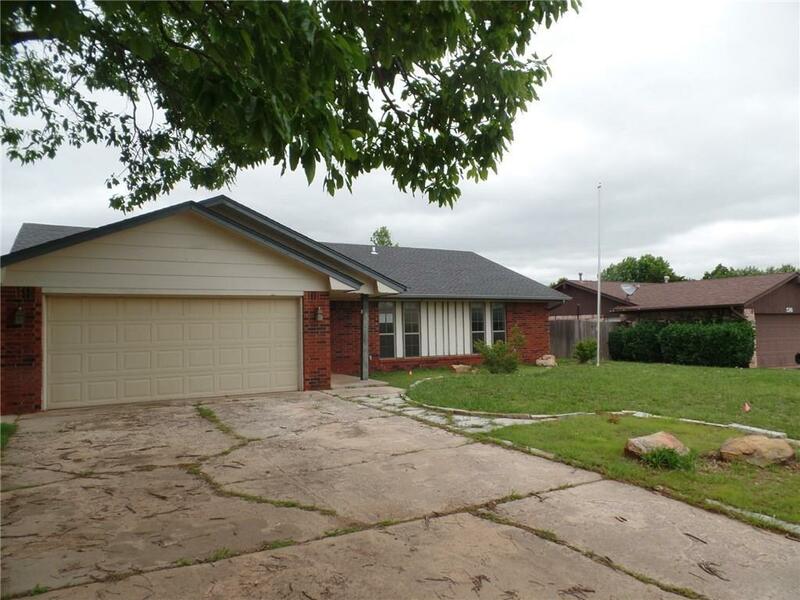 Spacious home ideally located near I-40 and Country Club Rd. with lots of shopping, dining, and parks nearby plus Lake El Reno is a short drive away. This place has a large fenced backyard with an open patio and a storage shed plus a 2 car attached garage with a storm cellar. The living room has a fireplace and a built-in book case plus patio doors that lead to the backyard. There is a nice dining area. The kitchen has updated cabinetry and extra counter space. Buyer(s) to verify all information at their own expense including taxes, school districts, property condition. Buyer inspections are for information only. No repairs will be made by any party for any reason prior to closing. Exempt from disclosures/disclaimers. Listing office does not have any information on property condition, title history, or any needed repairs.